Tweejay is a really simple online jukebox. 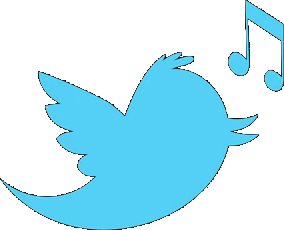 Make synchronized playlists with friends - just by tweeting. You can gain more control over your channel (whitelist/blacklist who can tweet, remove tracks etc) by registering and claiming the channel. Get your friends, family or colleagues to start doing the same, and you've got an instant party. Sounds fun, right? Take a look at and try tweeting something to the #public channel to get started.